Today is Wu-Tang Clan day because the legendary group drops their new album Wu-Tang Clan: The Saga Continues today. Hip-hop first learned about the album only a few weeks ago when RZA announced that the group is dropping their first project in three years. It was in 2014 when they released the album A Better Tomorrow. This new album The Saga Continues was entirely produced by RZA and the group’s longtime producer DJ Mathematics. The album comes with 18 tracks with verses from rappers like Method Man, Redman, RZA, Streetlife, Ghostface Killah, Inspektah Deck, Skit, Chris River, and Killa Priest. “For years, Math has had the idea of putting together a body of music using modern and legendary equipment such as ASR10 with vocal performances by Wu-Tang Clan members and other prominent MCs,” RZA said. 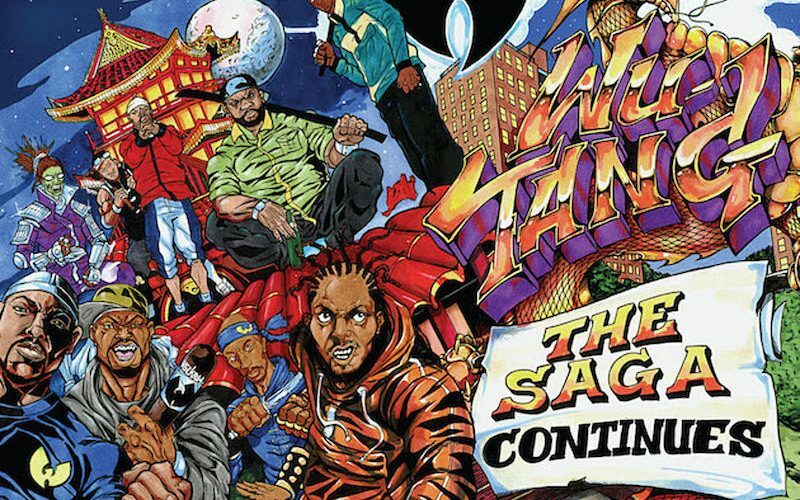 Stream and download Wu-Tang Clan: The Saga Continues album on iTunes/Apple Music below.